Today is Earth Day, and the Formula E guys went to Los Angeles to show off their electric race car and give Angelenos a preview of the racing championship. 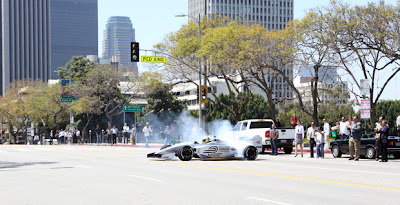 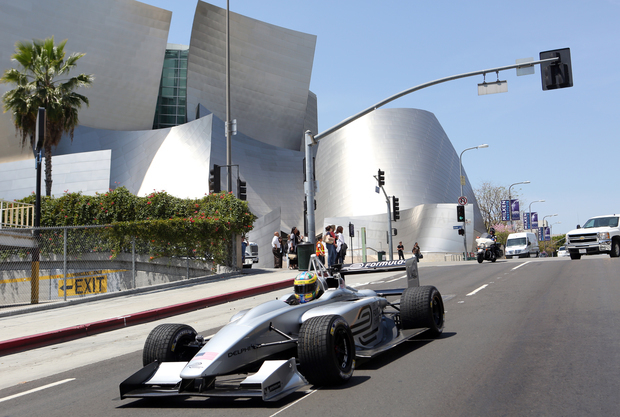 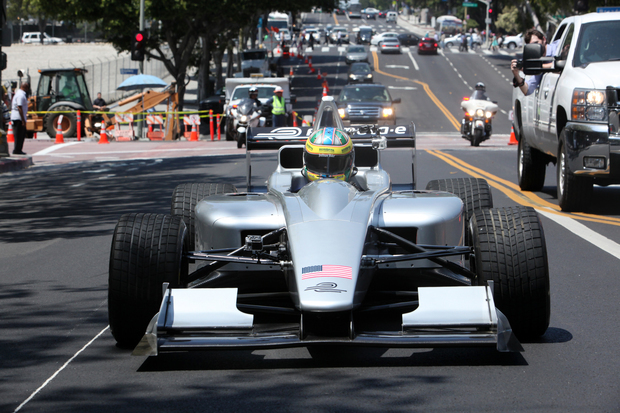 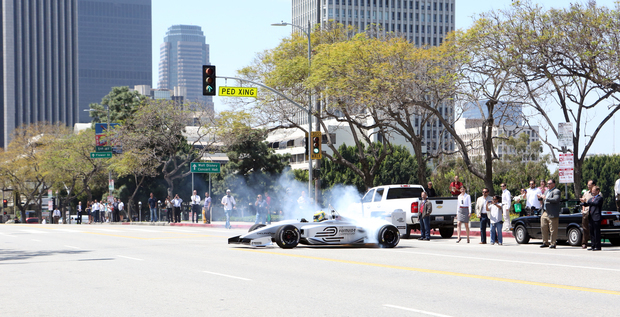 Los Angeles is one of the 8 cities that have committed to hosting Formula E during 2014. The FIA Formula E World Championship is an electric car racing series, featuring Formula 1 style cars, and is slated to be held in city centers around the world. 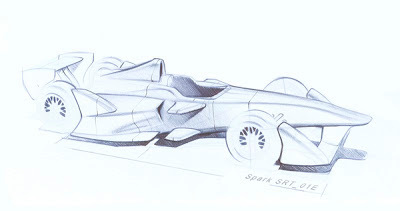 But if you read this blog you probably already know this. During 2013 they're going to be giving demo events around the world, to raise awareness and interest. 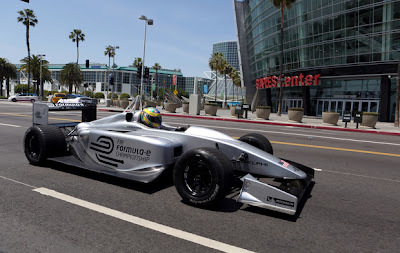 Along with the demo in Los Angeles, they released a few pictures that may be the actual car meant for the racing series. The car looks somewhat like the sketch released a couple months ago, and it looks nothing like the Formulec car that have been the only pictures we had available until now.